PRIMORDIAL ORDER is an experimental ritual using alchemy and numerology to navigate the journey from order to chaos as seen through the human experience. PRIMORDIAL ORDER is a deep dive into entropy. Light is layered numerically. The first image 1 —order, a single exposure. 2 is a double exposure, 3 a triple exposure. The series culminates with thirteen exposures on one plate—chaos. Wet plate collodion was one the first photographic forms discovered in the 1850s. The act of capturing a direct likeness in the process was considered then to be in the realm of magic or soul-stealing. In the alchemical darkroom process, light-activated silver is exposed directly onto black metal plates. Time, light, and chemistry need to be in a constant equilibrium for the image to take form. 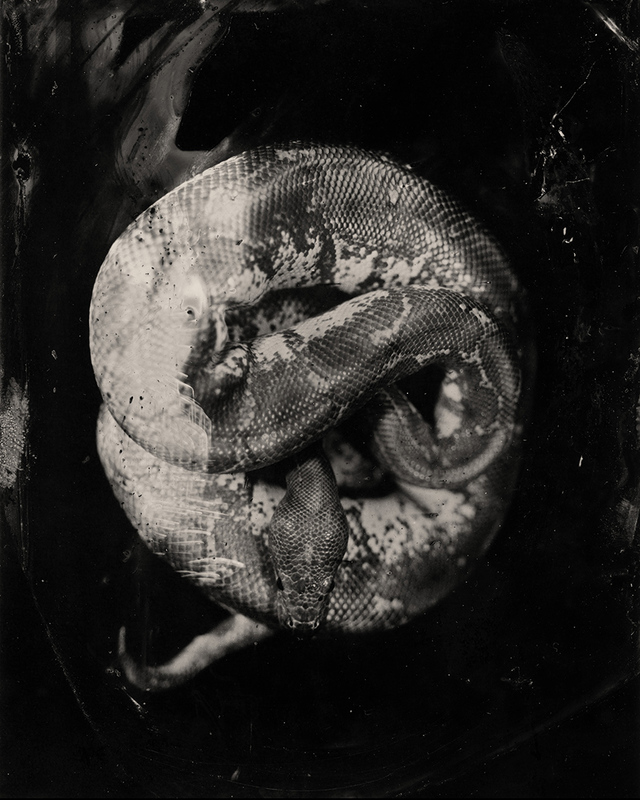 Collodion is sensitive to the ultraviolet wavelength that lies outside of the human visible spectrum, priming an experience that captures energy from beyond our immediate reality and looks directly into what we cannot see.